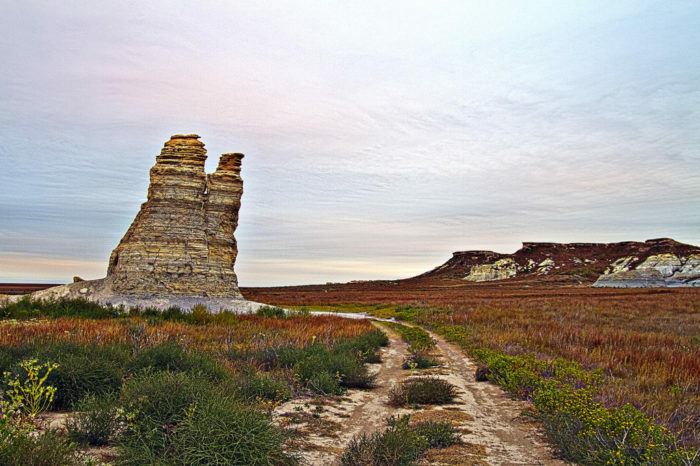 Kansas is full of natural wonders and beautiful scenery, but some of our favorite places to go are rock formations. 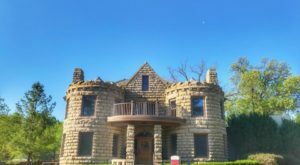 Left behind after long periods of erosion or taken from the ground and displayed, these eight places in Kansas are sure to rock your socks off. 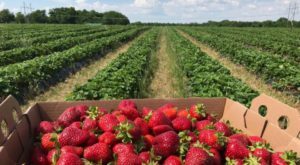 Come take a look at what nature has provided! 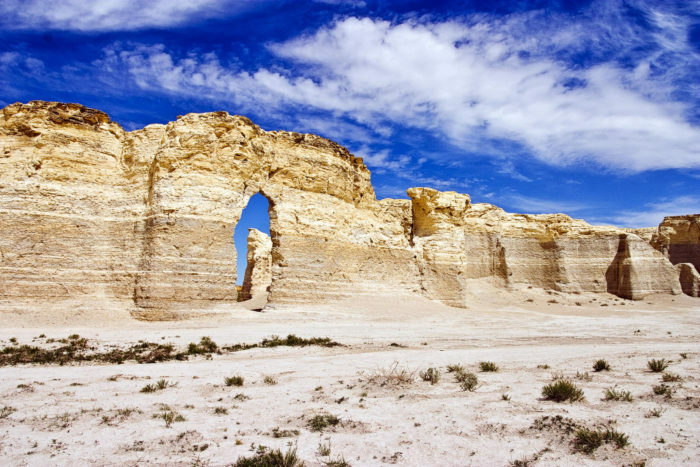 Known as one of the "Eight Wonders of Kansas", this rock formation is made of Niobrara Chalk, a very brittle substance that's chock full of fossils of all sizes and shapes. 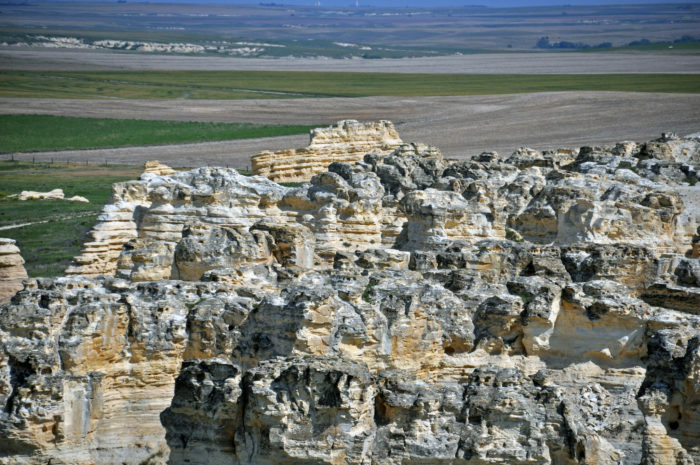 It was left here millions of years ago, when this area of Kansas used to be the Western Interior Seaway. We hope it sticks around for a while longer, too! 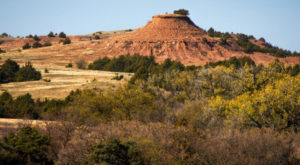 Castle Rock is an ever-shrinking rock formation in the badlands of Kansas. It stands alone surrounded by open ground and more badlands raised above the dirt. Slowly but surely, this formation will completely disappear as time erodes it away. 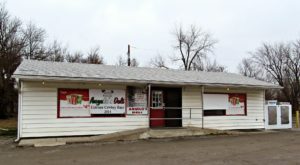 Little Jerusalem is an area of Kansas that's not currently available to the public, but we hope it will be soon. It's absolutely gorgeous. 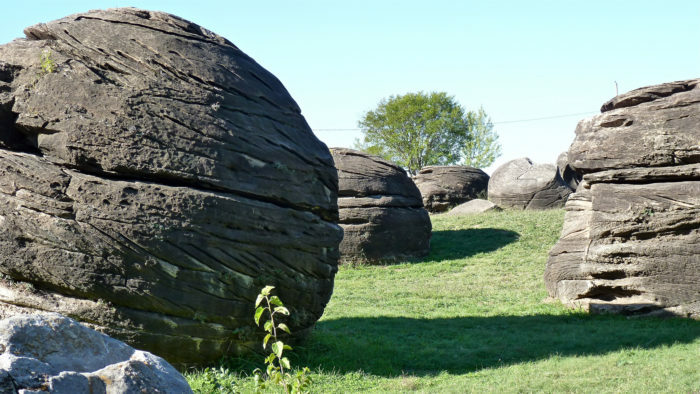 These spherical boulders were once part of a huge rocky area, but are all that's left after erosion from wind and water took the softer stone away from the harder spheres. 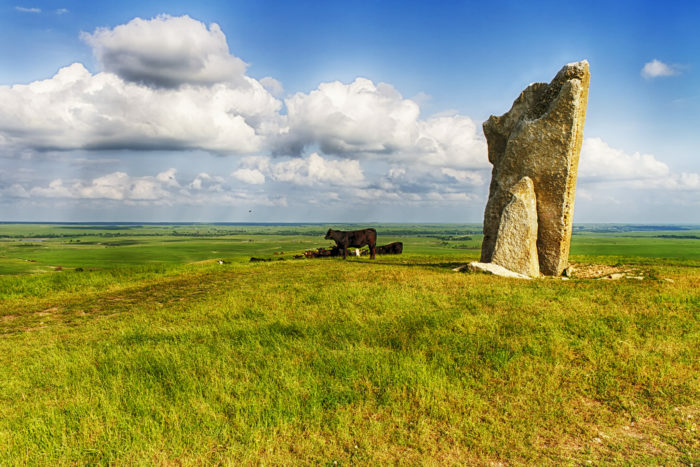 The area covers about two football fields of space, dotted with around 200 boulders in three areas. 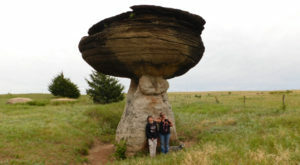 These mushroom shaped rocks at Mushroom Rock State Park, and were left here millions of years ago, along the edge of the inland sea that once covered much of the central United States. 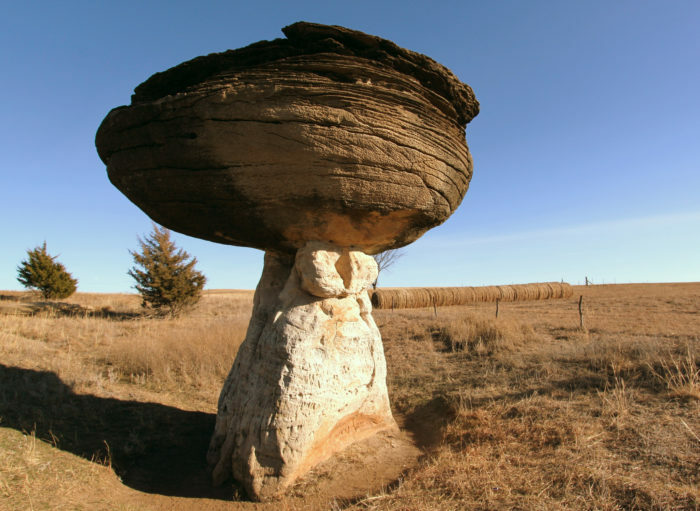 The tops are made of the same sandstone as rocks in the Dakotas, and the bottoms are made of a softer rock that erodes away much faster, leaving a mushroom shape. Teter rock wasn't always here, believe it or not. A man named James Teter erected this pile of rocks here to mark Teterville and the Cottonwood River for travelers. 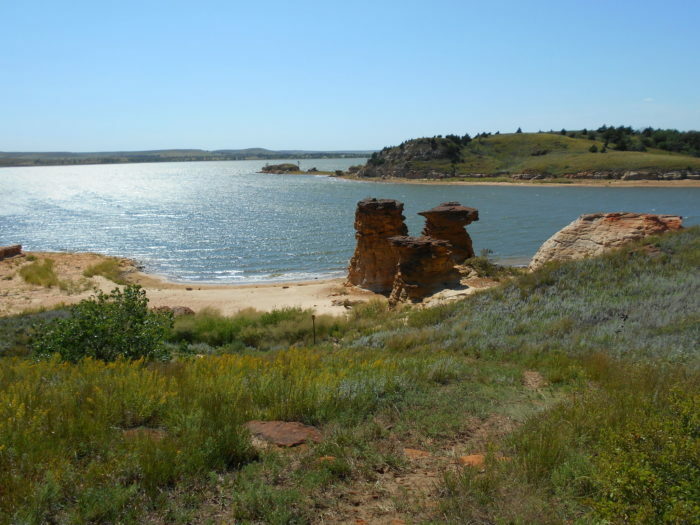 These sandstone towers around Wilson Lake are anywhere from 15-30 feet tall, and appear in beautiful red and orange hues against the blue of the lake. Not only is it a great place to sight see, but the hiking trail connected to "Rock Town" is amazing too! 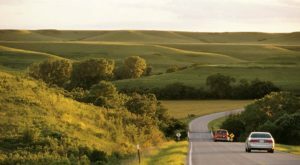 Limestone makes up much of the Flint Hills area, and trees do not. 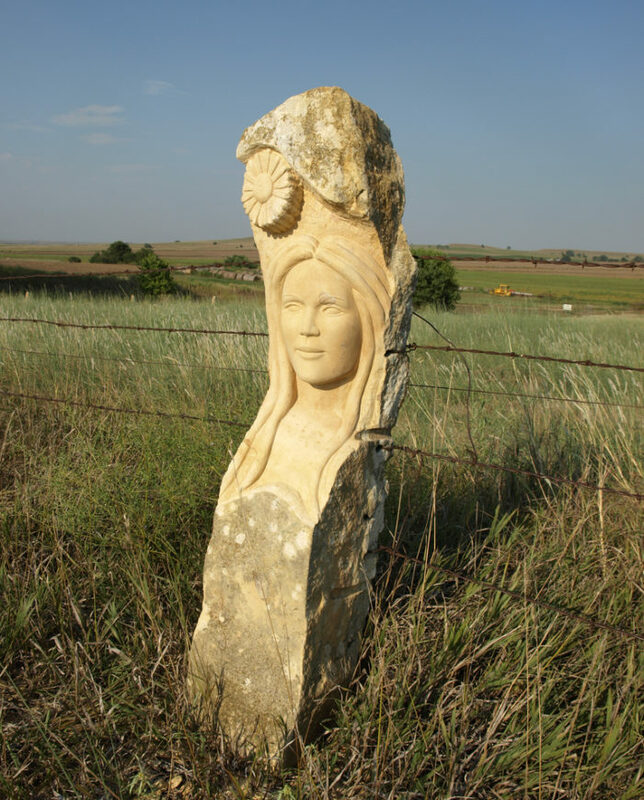 Because of that,, it was much easier for farmers to place limestone fence posts than wooden ones, and today we get to see those posts (carved or uncarved) still standing today. 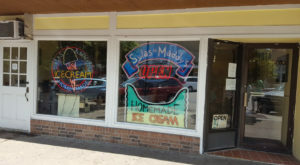 This particular one is in Lucas, but they're found all over the Flint Hills area. 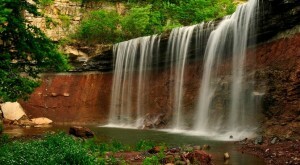 You’ll also see some beautiful rock faces and caves at this stunning state park you also shouldn’t miss.